Sam Hays from Sheffield suggested having a range of different nail polishes and giving them varying titles relating to Cancer Research UK. This came about after Sam saw her mother and mother-in-law battle with cancer and wanted to see a brand she loved give back to a worthy cause. 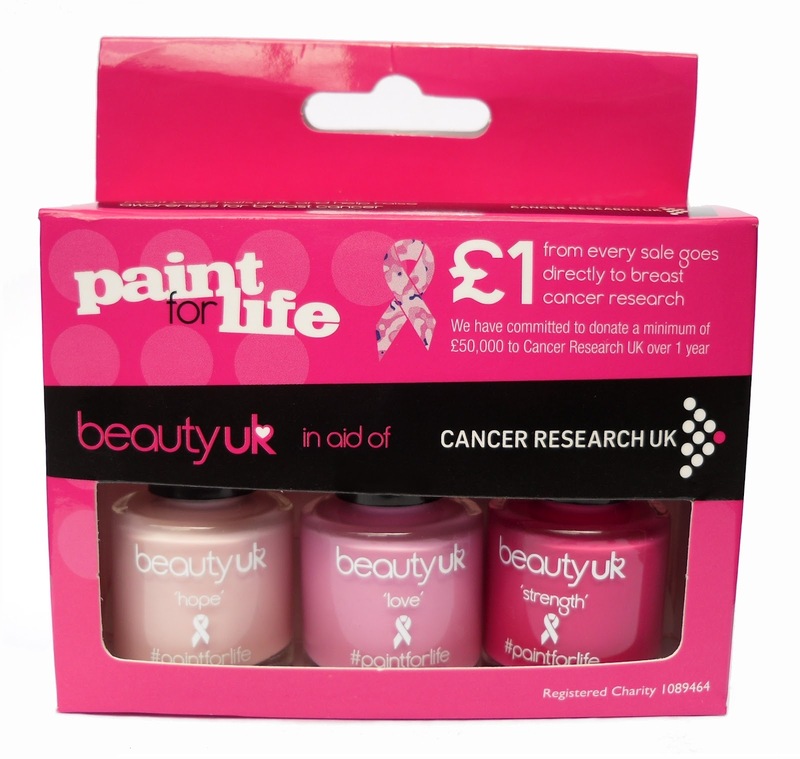 The team took these ideas, went on to develop a unique boxset consisting of three shades of pink nail polish and called it the ‘paint for life trio’. Each bottle is individually named with ‘hope’, ‘strength’ and ‘love’ and from every £5.99 set sold, £1 will be donated directly to breast cancer research. Tom Pearson, Director at BeautyUK said, “We are extremely proud to be supporting Cancer Research UK this year and hopefully beyond. 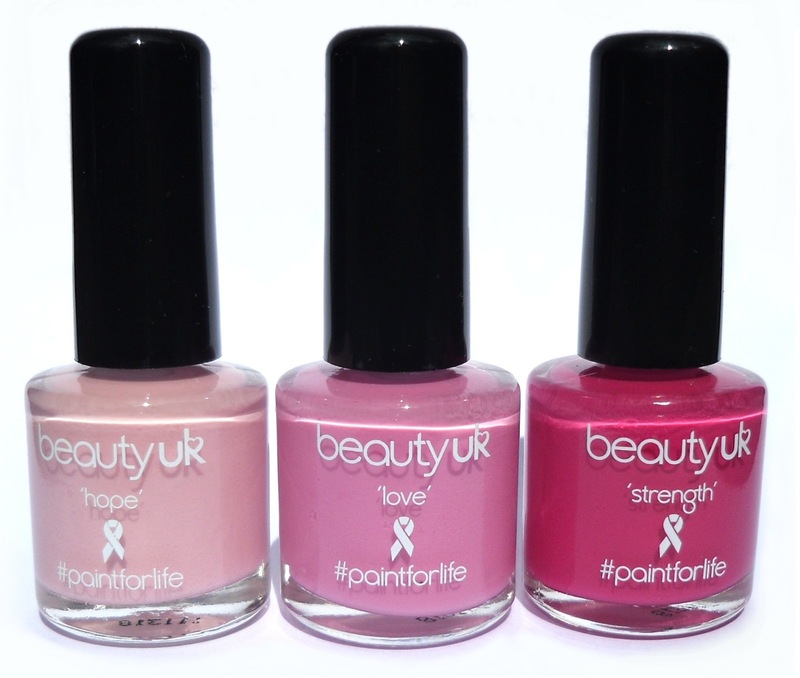 The team at BeautyUK is really excited about the new nail polish trio and helping make a difference to this incredible cause. We’re asking all our customers to support us in helping raise awareness of breast cancer and raising funds to enable Cancer Research UK to continue with its indispensable work in preventing, diagnosing and treating this type of cancer.” I love this story and I love how BeautyUK are trying to give something back, inspired by one of their very own customers. For under £6.00 you can get your hands on some fab polishes, give to charity and feel good about yourself. What have you got to lose? Available in Superdrug from 13th April and online. Gorgeous colours for a very worthy cause.